Google released their bad ad report for 2016, telling us they "took down 1.7 billion ads that violated our advertising policies," which was more than double the amount from 2015. Also in 2016, Google detected and disabled a total of 112 million ads for "trick to click," 6X more than in 2015. 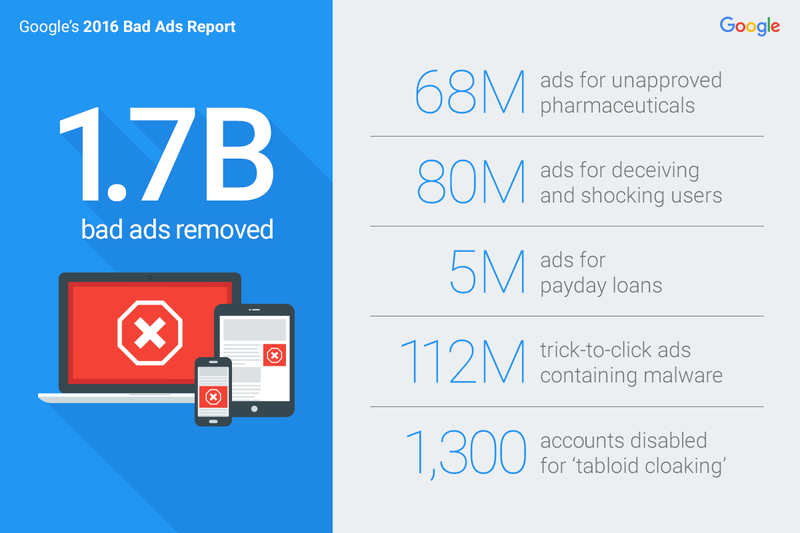 In a six-month time frame from when Google instituted their payday loan ban, they disabled more than 5 million payday loan ads. With this, Google also permanently banned 200 publishers for ever. There are a lot more metrics over here.